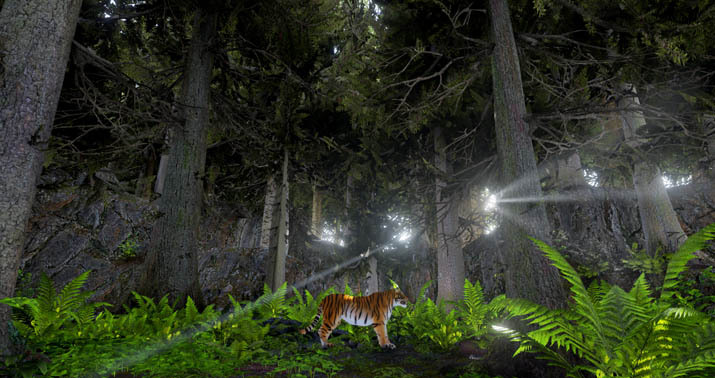 In Survivalizm – The Animal Simulator, you start as a helpless baby animal. Your goal is to survive, grow up, find a mate, and produce helpless baby animals of your own. 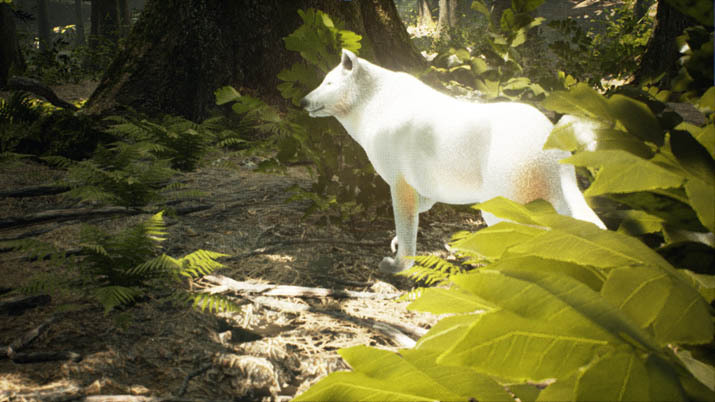 For your first playthrough, you must play as a rabbit, but through gameplay you can unlock additional species, including deer, big cats, wolves, and elephants [EN: Elephants!]. This Early Access title is a one-man affair. As is the case with most newly greenlit Early Access projects, Survivalizm aims high and hits low. You'll trade your patience for the chance to shape your final product. The developer, IronboundManzer, intends “to make this game a full community project”. The sentiment behind IronboundManzer's dreams of community involvement and input in the final product is admirable, but a patient player with reasonable expectations should be able to enjoy an Early Access title in its starting state, as a matter of principle. Expectations and the developer's sales pitch play an important role in this: it's important to know what you're getting. Based on wide discrepancies between the promises made and the experience delivered, Survivalizm is not ready for official release. I have beta and alpha tested numerous titles, and I estimate alpha as a generous descriptor of Survivalizm's state of development. It presents as serviceable for a simulation where you're concerned less with optimally plush lion fur and more with functionality and survival-related systems. Unfortunately, these core areas where Survivalizm is supposed to shine aren't fully, or even mostly, implemented. Your parents don't protect you or bring you food. At seemingly random intervals, other animals of all species spawn in large groups that fall from the sky and land directly next to you. My attempts to pair up with other rabbits and start a glorious rabbit dynasty were futile: the first eligible partner I located was my mother, and I was still a baby rabbit. I sounded my mating call, and a looping big-cat snarl sound effect began to play in the background. While frighteningly oedipal, I don't think this feature was intended. I started a new game and managed to pair my rabbit with an actual panther, but I couldn't figure out how to start a herd or reproduce. Somehow, no matter which species of animal I played, I was never able to find a mate again, regardless of species or gender. Rabbit life is realistically represented in that you can indeed ruin ecosystems by eating everything in sight. I ate every plant I could find on the map before I fell off said map, endlessly tumbling over a gray screen. I feel like I accomplished something in that playthrough, since I confirmed the AI animals at least sometimes eat -- another rabbit stole the weed I was going to gnaw on once, and that was it. Carnivores kill you sometimes. You can play as them as well, of course, but it's as hard as ever to find other animals. Your best bet is to explore the map and take your chances with lag and frame rate death (the more of the world I loaded, the slower my game ran). Eventually food shall fall from the heavens. And even when you find your prey, good luck; movement and attacking are cumbersome at best. If you succeed in your hunt, you'll be treated to a corpse with truly horrifying ragdoll physics. I recommend slowly inching closer while mashing E, the eat button, and trying not to look at your meal, which twitches and writhes like some electrified, otherworldly being. As a whole, the animal animations are smooth, but collision detection is sorely lacking. Survivalizm's systems are well envisioned, but problems arise when they attempt to work together. A satisfying creature-life-simulation lies some ways down the road. The developer has progressed toward big promises and demonstrated responsiveness to feedback, making the project a good long-term investment, if you're willing to stick around while it matures. One day, Survivalizm will be an enjoyable title, provided its developer continues to apply the same effort and ingenuity that built the pieces of its Early Access framework. Kelsey seeks out RPGs with the narrative clout of Greek tragedy and strategy sims more punishing than QWOP. Their favorite part about being a gender neutral PC gamer and reviewer is that it's probably the only thing no one else on the site will put in a biography. Super saiyan special snowflake originality! Kelsey always keeps a pot of hot tea close at hand, and the sign of a truly great game is when it can monopolize Kelsey's attention so completely that the tea grows cold. While a dedicated believer in the PC Master Race, Kelsey also still spends time with their old favorite console, a cinderblock size Playstation 2.